AWS customer case studies and stories about easily and securely connecting devices to the cloud. By using AWS, Hubble Connected is helping people transform their households by installing connected devices that enable owners to control the home environment through voice commands or smartphone apps. Hubble Connected provides the Hubble platform as a service that delivers the backend infrastructure for manufacturers’ smart devices. Hubble runs on the AWS Cloud with services such as Amazon EC2 powering its applications, Amazon S3 storing billions of objects, and Amazon DynamoDB storing all metadata events. Coway is expanding its global market by introducing air purifiers, water purifiers, and other products that incorporate artificial intelligence and IoT. The company is also launching products that incorporate Amazon's artificial intelligence voice-recognition service, Alexa. Coway is Korea's leading consumer electronics company for water, air, and sleep. Coway has successfully built a serverless platform utilizing AWS's managed services. Using AWS managed services such as AWS IoT, AWS Lambda, and Amazon Kinesis, the company reduced the time and cost of building and running IT infrastructure and can focus on its core business. LG Electronics (LG) launched LG ThinQ—a global brand of home appliances, consumer electronics, and services featuring artificial intelligence technology. LG manufactures home appliances such as TVs, refrigerators, and cooling fans.The Internet of Things (IoT) platform supporting LG ThinQ runs on AWS IoT Core, with Amazon ElastiCache and Amazon DynamoDB used for data services. Bayer Crop Science uses AWS IoT to deliver real-time crop data analysis and support new corporate IoT initiatives. The company offers products and services to enable sustainable agriculture for farmers worldwide. 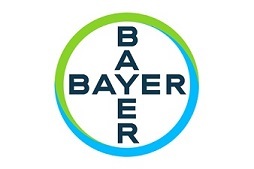 Bayer Crop Science uses a new IoT pipeline based on the AWS IoT platform to collect and analyze seed data from fields across the globe. Spanish rail solutions company CAF delivers predictive maintenance capabilities for its LeadMind Platform in just eight weeks with AWS. CAF Rail Services help customers reduce the life-cycle costs of its trains. AWS IoT Core collates sensor data from trains, Amazon Kinesis ingests the data, and then Amazon Redshift stores it for analysis. Since moving to the AWS IoT environment, Centratech Systems has reduced training time for new customers from six hours to one, and has vastly expanded its customer base through an estimated 66 percent reduction in device costs. Centratech Systems is an Australian provider of wireless monitoring and control systems used by local governments to manage water, pumping, and electricity applications. The company relies on Amazon EC2 instances to host its software used with legacy hardware, and it has recently shifted to the AWS IoT platform to manage newer, lighter, and less costly smart devices in the field. Using AWS has enabled Chai Point to avoid any outages that would affect a range of business-critical systems, including a cloud-based ERP system that integrates billing and supply chain activities and enables real-time monitoring of Chai Point retail stores. Founded in 2010, Chai Point is India’s largest organized chai retailer with about 100 retail stores. The business uses a range of AWS services running in an Amazon Virtual Private Cloud to deliver its applications. Using AWS, the City of Newport in Wales, UK, deployed smart city Internet of Things solutions to improve air quality, flood control, and waste management in just a few months—as opposed to the year or more it would have taken using traditional server infrastructure. Newport is a vibrant city seeking to invigorate its economy and improve quality of life for citizens and visitors using forward-thinking technology. Through AWS Marketplace, Newport licenses Davra Networks ConnecThings.io, which runs on AWS IoT. eWATER, a London-based startup organization, needed help to implement a solution for delivering clean water to impoverished communities in developing nations. It turned to Eseye, an Advanced Technology Partner in the AWS Partner Network, for an IoT-based solution running in the AWS Cloud that includes a simple payment system for tap water and continuous monitoring of water systems in rural villages, which gives residents easy, affordable access to clean water. HelloFresh, the leading company worldwide in meal-kit delivery, sends boxes loaded with delicious ingredients and matching recipes straight to your doorstep. Founded in Berlin, the company quickly expanded internationally and currently serves over one million households in eight countries. For further developing it's IT sector, HelloFresh was looking for a best in class partner that is similarly flexible and efficient. As a result, in December 2014, HelloFresh partnered with AWS and incorporated services like Amazon Cloudfront, EC2, RDS and Route 53 into its business operations. These services improve operational efficiency, facilitate global collaboration among employees and allow HelloFresh to better serve its customers worldwide by reducing package delivery times. IDEXX uses AWS to deliver a wide range of solutions for veterinary practices. IDEXX is a global leader in veterinary diagnostic equipment and reference laboratory services. The company uses AWS IoT to identify equipment-maintenance needs, stores and serves millions of images weekly with its Image Manager service leveraging Amazon S3, and built an enterprise data lake using Amazon EMR. Using the AWS Cloud, iRobot can offer internet-connected Roomba robotic vacuums on a global scale. By helping its customers with everyday chores, the company gives them more time for what’s most important. iRobot connects to its Roomba vacuums using AWS Lambda, Amazon Kinesis, and AWS IoT in a serverless architecture. Kit Check provides an automation solution that combines cloud software with Internet of things (IoT) technology to help hospitals track medications more effectively, improve compliance and safety in the operating room, and dramatically reduce the time required to restock commonly used drugs. Kit Check uses AWS to connect proprietary on-site RFID equipment with a web-based service that tracks the usage and expiration dates of medicines. By using AWS, the startup company launched and quickly expanded a profitable niche service across the U.S. healthcare industry while avoiding the expense and overhead of traditional IT systems. Modjoul uses AWS to provide safety data to customers five times faster, process data from thousands of safety belts in near-real time, and help customers ensure their employees are safe. The organization seeks to improve companies’ safety records by providing data and actionable insights to eliminate employee injuries. Modjoul uses the AWS IoT Platform to transmit data from thousands of its SmartBelt devices to the AWS Cloud. Pentair increases beer filtration system performance by 10 percent, reduces costs, and increases predictability for filtration processes. The company is a global provider of water filtration systems equipped with sensors to breweries, fish farms, and other industrial and commercial customers. Pentair runs its beer membrane filtration system on AWS IoT, taking advantage of AWS Greengrass to ensure location data connections are not lost and using AWS IoT Core to process data from remote facilities. People in Need is using AWS to scale an early warning system in Cambodia that alerts about 400,000 subscribers when floods threaten. Based in the Czech Republic, People in Need is a nongovernmental, nonprofit organization engaged in humanitarian and development work in more than 20 countries. The People in Need early warning system runs both sensor technology and an open-source IVR solution using Amazon EC2, AWS Elastic Beanstalk, Auto Scaling, and Elastic Load Balancing. By using AWS, PetaJakarta can scale to meet usage demand of Jakarta’s 28 million citizens during flood events while managing costs during off-peak times. PetaJakarta.org harnesses the power of social media to gather, sort, and display information about flooding for Jakarta residents in real time. Running a dynamic set of services on top of a well-maintained hardware platform allows PetaJakarta to provide resilient, flexible services that respond to extreme weather events. Rachio processes millions of IoT messages daily and has cut development costs by 40 percent using AWS. Rachio is the creator of the Smart Sprinkler Controller, a WiFi-based irrigation controller that helps consumers optimize their irrigation schedules. The company uses AWS IoT to enable the secure interaction of connected devices with the cloud and uses AWS Elastic Beanstalk to deploy and manage its website, apps, and APIs. Royale International Group achieved 300 percent growth in the first six months of its new courier service to Hong Kong-based 7-Eleven stores—popular collection points for online purchases—through the scalability and simplified management of AWS. Royale International Group offers express delivery services to businesses worldwide. The company is taking advantage of the Amazon API Gateway service to ensure 7-Eleven store managers, online merchants, and couriers have the latest information on their shipments. The company also uses a range of AWS services such as Amazon EC2 for compute, Amazon DynamoDB for database services, and AWS Lambda to increase operational efficiency. Siemens has deployed an IoT environment at a plant in Mexico in less than eight weeks, which will help it double efficiency. The company is Europe’s largest industrial manufacturer with a global workforce of more than 377,000 and annual revenue exceeding €80 billion. It uses the Siemens MindSphere Internet of Things platform, which is hosted on AWS, to connect its production machines to the AWS Cloud. Syskron X, subsidiary of Krones AG, develops digital end-to-end solutions for production lines and uses AWS services to help customers in the food and beverage industry to optimize their supply chain. Under Armour can scale its Connected Fitness apps to meet the demands of more than 180 million global users, innovate and deliver new products and features more quickly, and expand internationally by taking advantage of the reliability and high availability of AWS. The company is a global leader in performance footwear, apparel, and equipment. Under Armour runs its growing Connected Fitness app platform on the AWS Cloud. Visy has increased the performance of its business-critical SAP environment by moving to AWS—increasing database and application performance by 28 percent and 46 percent, respectively. Visy is a global leader in packaging and recycling solutions. The organization runs its SAP infrastructure on Amazon EC2 X1 instances with Amazon S3 and Amazon EBS for data storage, and Amazon Redshift supporting real-time business reporting. Using the AWS Cloud, Woodside can deliver analytics algorithms in a matter of weeks or days instead of three to six months. Woodside is a global oil and gas company based in Australia. The company uses IoT technology to monitor more than 200,000 sensors at one Liquefied Natural Gas plant, and Big Data tools to deliver quick insights across the organization.